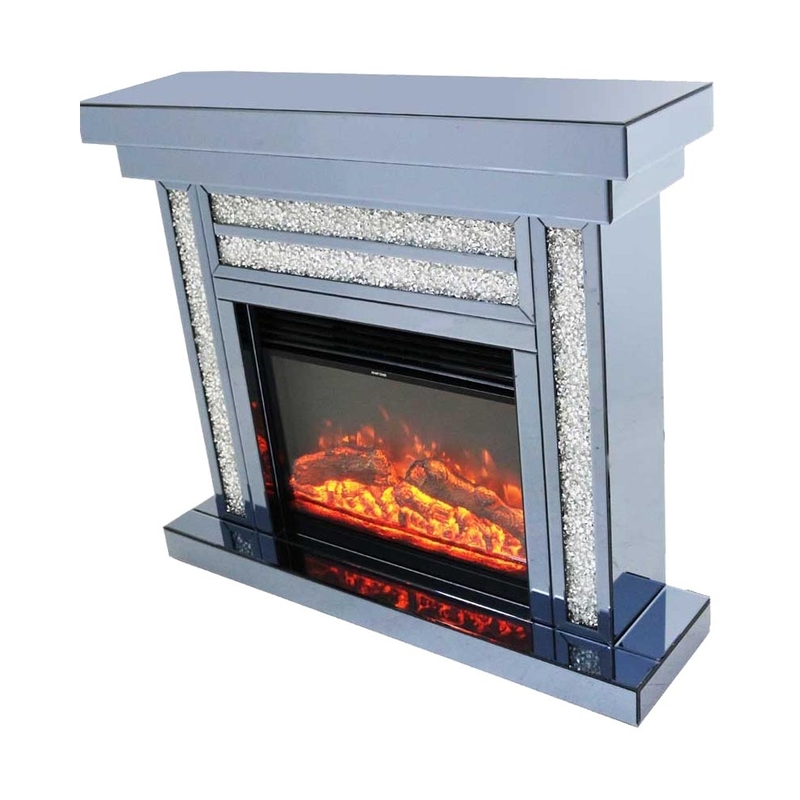 This is such a beautiful mirrored fireplace, its crushed diamond crystals. The crushed diamonds are in a cute silver crystal colour. This mirrored fireplace is an electric fire and has a remote control. This fireplace has a modern and contemporary feel so if you're trying to achieve that look then this is the fireplace for you. It is part of the Gatsby collection.